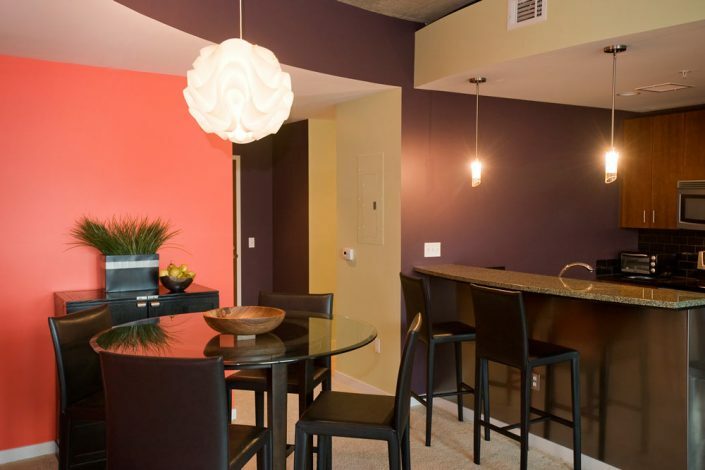 My client wanted fun, playful colors for this downtown condo. This is their second home, used mostly for concerts, shows and parties. We developed a sophisticated color palette, new furnishings and stainless steel wrapping under the bar area for durability.